The Women's Suffrage movement in Britain was formalised in 1903 when Emmeline Pankhurst established the Women's Social and Political Union. 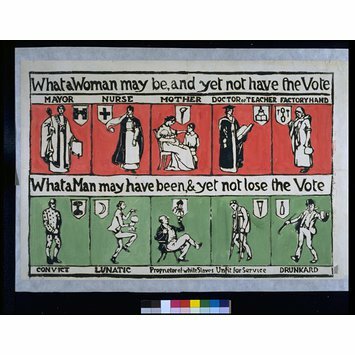 Voting rights for women over 30 were granted in 1918, but equal rights with men (that is, at age 21) were not granted until 1928. 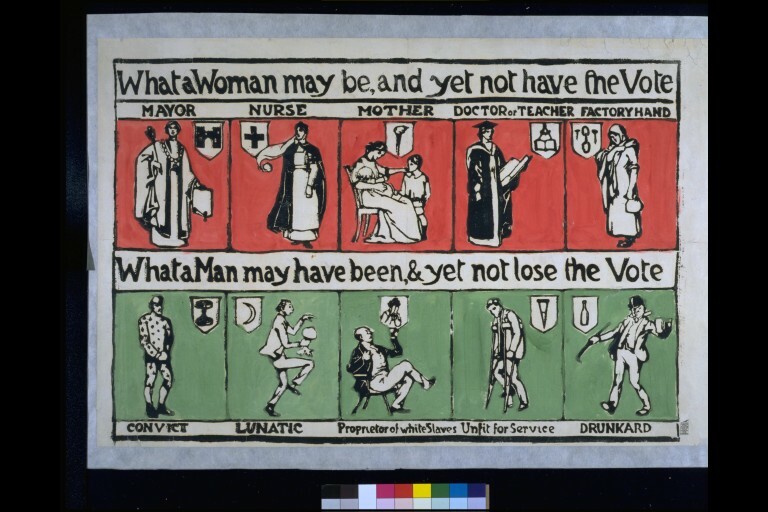 This poster was produced by the Suffrage Atelier, a society formed in 1909, to 'encourage artists to forward the Women's Movement, and particularly the enfranchisement of women, by means of pictorial publications'. The relatively unsophisticated technique of block printing was partly a consequence of limited funds, but it also allowed 'fresh cartoons [to be] got out at very short notice'. Landscape format poster in green red and black on white ground. 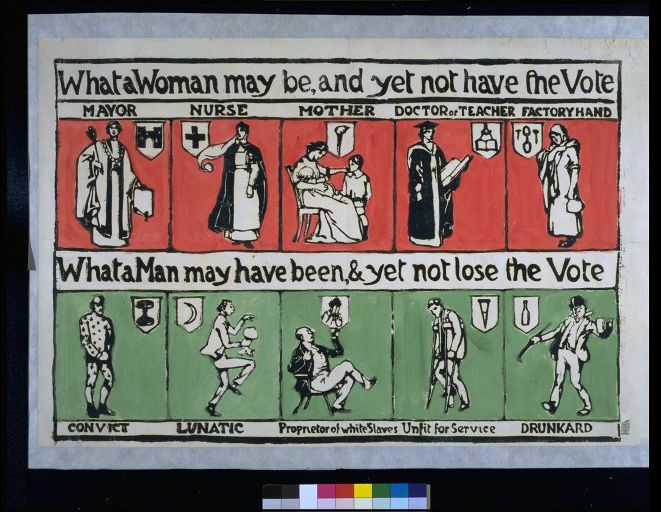 Two strips of five images each, one above the other.The top with the legend 'What a Woman may be and yet not have the Vote and then the five images: Mayor, Nurse, Mother, Doctor or Teacher, Factory Hand. Below this headed by the legend What a Man may be & yet not lose the Vote five images of: Convict, Lunatic, Proprietor of white Slaves, Unfit for Service, Drunkard.